You can never anticipate when an illness, injury or a life-saving surgery will happen, but what you can foresee is which doctor will be the best to care for you or your loved ones. 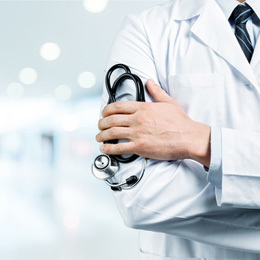 We’re lucky enough to live in an area that holds some of the best physicians spanning all medical fields—from critical care, family medicine, pediatrics, dermatology to neurosurgery— who are all trained to aid any ailment. So when it came time to cull a list of some of the Greater Philadelphia Area’s top-notch doctors, it happened in a heartbeat. Thanks to our best source in the matter, our readers voted on who they felt were the best healers around town. The results are found in our 2017 Top Physicians, featuring over 230 physicians from over 30 disciplines who are all trained and ready to take on any crisis, injury or affliction. With the best in your corner, your health will always come first. Family Practice Center of Newtown, P.C. Dr. Gerald R. Williams, Jr.